Die internationale Erfolgsserie des Sängers aus Irland setzte sich auch 2015 eindrucksvoll fort: Zwei Billboard Awards, einen der begehrten Ivor Novello Awards sowie den Preis als „Artist Of The Year“ von VH-1 konnte Hozier letztes Jahr in Empfang nehmen, der obendrein bei Mega-Festivals wie Glastonbury, Coachella und Red Rocks auftreten sollte. Neben den vier Auszeichnungen wurde er auch bei den Grammys, den BRIT Awards, den American Music Awards und den MTV VIDEO MUSIC AWARDS nominiert – eine Liste, die unterstreicht, was für einen sensationellen Karrierestart der Ire hingelegt hat, seit er vor gut zwei Jahren seine ersten Songs veröffentlicht hat. Sein gefeiertes Debütalbum „Hozier“ landete in den US-Billboard-Charts auf Anhieb auf Platz 2 (und war damit das zweiterfolgreichste Debütalbum des Jahres in den USA); in Großbritannien landete es auf der #5, während es sich in seiner irischen Heimat ganze 9 Wochen lang an der Spitze der Albumcharts hielt. Neben den massiven Erfolgen in UK und den USA gab es in Deutschland sowohl Gold für das Album als auch eine Platin für seine Single „Take Me To Church“ – sowie weitere etliche Edelmetalle in Frankreich, Italien, Dänemark, Irland, Belgien, Russland, Schweden, Polen, der Schweiz, Österreich, Holland, Kanada und Australien. Und nach seinem umwerfenden Duett mit Annie Lennox bei der Grammy-Verleihung bescherten ihm auch etliche hochkarätige TV-Auftritte immer neue Fans: Unter anderem trat der 25-Jährige bei Later with Jools, Jimmy Fallon, David Letterman, Saturday Night Live, Ellen, Jimmy Kimme, Graham Norton und hierzulande mitunter bei Circus Halli Galli und The Voice Of Germany auf, um schliesslich auch bei der Victoria’s Secret-Fashion-Show in London seine Songs zu präsentieren. Mit seiner neuen Single „Cherry Wine“ und dem dazugehörigen Video setzt der gefeierte Singer/Songwriter Hozier ein unmissverständliches Zeichen im Kampf gegen häusliche Gewalt: Nicht nur der Videoclip, der am Valentinstag (14. 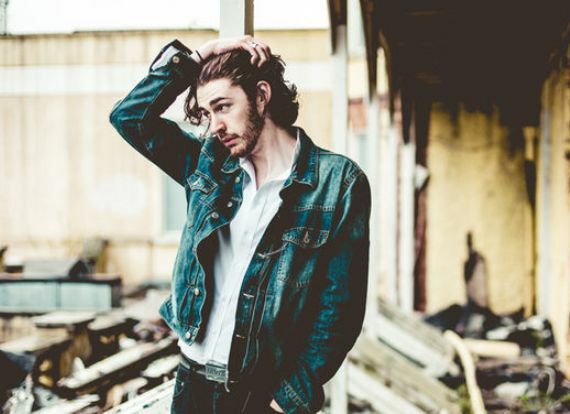 Februar) Premiere feiert, soll mehr Aufmerksamkeit auf dieses Thema lenken, denn Hozier, Columbia Records, Island Records und Sony/ATV Music Publishing werden ihre Einnahmen aus den Downloads dieser besonderen Single an Stiftungen spenden, die sich im jeweiligen Absatzland gegen häusliche Gewalt engagieren. Es handelt sich dabei um Organisationen, die Opfer von Misshandlungen und häuslicher Gewalt sowie Hinterbliebene aktiv unterst/uuml;tzen und darüber hinaus auch in den Bereichen Interessenvertretung und Aufklärung tätig sind. Die Hauptrolle im Video zu „Cherry Wine“ übernimmt die zweifach Oscar-nominierte Schauspielerin Saoirse Ronan: Die gefeierte „Brooklyn“-Hauptdarstellerin spielt eine junge Frau, die unter körperlicher Gewalt in ihrer Beziehung leidet. In einer weiteren Rolle ist der irische Serien-Star Moe Dunford („Game of Thrones“, „Vikings“) zu sehen, während die irische Emmy-Gewinnerin Dearbhla Walsh Regie führte. It is only when you stumble across a songwriter whose lyrics both sound and read like poetry that you realise just what you are missing out on the rest of the time. When those lyrics are set to music that balances burning indignation with lilting tenderness, and delivered in a voice imbued with the spiritual passion and yearning of gospel and the blues, you figure you’ve chanced upon something pretty special. And so it is with Andrew Hozier-Byrne, a County Wicklow singer-songwriter and multi-instrumentalist who goes by the name of Hozier, and whose way with words is a blessing (for us) as much as his susceptibility to romance, and romantic dreaming, sounds like a curse (for him). The vividness of his imagery speaks of a soul in thrall to, and beset by, intense and sometimes ungovernable emotions. Well, Amen to that, if it produces music as visceral as the material the 23-year-old writes. On Take Me to Church, Hozier answered back, with a song about sexuality, freedom and humanity, whose lyrics capture the beguiling mix of conviction and mischief that so characterises his approach to songwriting. Elsewhere on the EP, he looked back on his first, crushing love affair, detailing it both as nostalgic chronicler and as if he was still within the relationship. It’s a devastating device: as the listener, you are witnessing his pain, his retrospective jealousy and his ongoing rapture, in the space of one song. So, on the pastoral, finger-picked Like Real People Do, as he sings: “Why were you digging? What did you bury, before those hands pulled me from the earth?”, we remember the potential for torment in speculating about a lover’s past. Cherry Wine, recorded on the roof of an abandoned hotel near Hozier’s home as the sun was rising, is similarly conflicted. “Calls of ‘Guilty’ thrown at me, all while she stains the sheets of some other” is a line shot through with anguish, and yet, musically, the song is as delicate and lulling as a warm summer breeze – a breeze that blows in the audible sound of the dawn chorus, enlisted as unwitting backing vocalist on the song. From Eden, the title track from Hozier’s forthcoming second EP, was written in one of those moments. “I’ll slither here from Eden,” he sings, “just to sit outside your door”, later picturing the object of his love with “a rope in hand, for your other man to hang from a tree.” Again, there is the sense of someone unable to decide, knowing the dangers, but drawn helplessly towards the rocks. Again, too, the music begs to differ; there is no torment here, as distant gospel voices join staccato jazz guitar, sonorous piano and rumbling bass in a spirit of celebration that speaks to one strand in the lyrics, but completely ignores the other. The effect of this duality is exhilarating. Recording for both EPs began in what Hozier calls “the grey, pretty boring attic” at the top of the house where he lives, before overdubs and mixing in Dublin, the producer Rob Kirwan (U2, Depeche Mode, Glasvegas, Ray Lamontagne) at the controls. 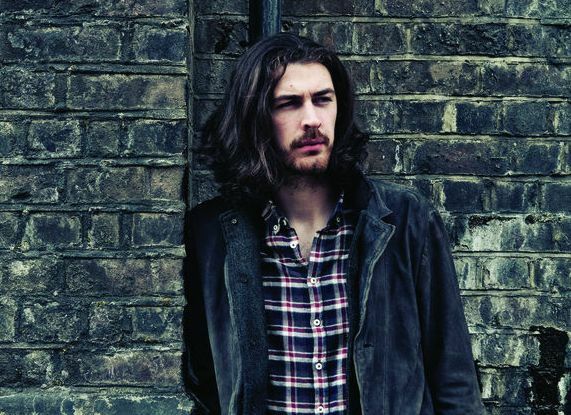 Sessions are currently underway for Hozier’s debut album. He is writing away, he says, sat in the attic mining his emotions, wrestling his demons, playing with fire, struggling with the contradictions of life. If he could just still that voice in his head, counselling caution one minute and wild abandon the next, Hozier might find some peace. But then he’d stop writing songs – and we’d stop being able to hear them. It seems a terribly cruel thing to say, but for our great benefit, if not for his, long may those fires rage.